Professor Dror Wahrman of the Hebrew University discusses Britain's vote to leave the EU and what implications it will have. 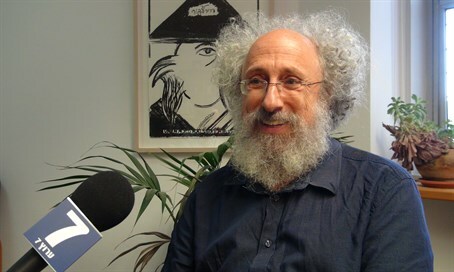 Professor Dror Wahrman, Dean of the Faculty of Humanities at the Hebrew University of Jerusalem, in an interview with Arutz Sheva on Sunday, discussed the vote by British citizens to leave the European Union (EU) and what implications, if any, it would have on Israel. “I think a lot of the voters who voted in favor of Brexit voted from the gut. They were not clear on what they expected to get out of this, and now that they’re there, they’re suddenly uneasy,” he said. “I think it’s very significant that Boris Johnson, who led the ‘leave’ campaign, was the first to say, ‘Let’s not hurry, let’s not be hasty here.’ In other words, ‘We wanted the symbolic victory. We don’t want implementation, we don’t know what it would lead to,’” added Wahrman. The EU, added Wahrman, is pressuring Britain to start the process of leaving right away so that it doesn’t appear as though Britain came out on top with the move. “That’s why it’s hard to know what this two-year process will look like. It’s probably going to take longer than two years,” he predicted.